Almost all twentieth-century philosophy stresses the immanence of death in human life-as drive (Freud), as the context of Being (Heidegger), as the essence of our defining ethics (Levinas), or as language (de Man, Blanchot). In Death's Following, John Limon makes use of literary analysis (of Sebald, Bernhard, and Stoppard), cultural analysis, and autobiography to argue that death is best conceived as always transcendentally beyond ourselves, neither immanent nor imminent. Adapting Kierkegaard's variations on the theme of Abraham's near-sacrifice of Isaac while refocusing the emphasis onto Isaac, Limon argues that death should be imagined as if hiding at the end of an inexplicable journey to Moriah. The point is not to evade or ignore death but to conceive it more truly, repulsively, and pervasively in its camouflage: for example, in jokes, in logical puzzles, in bowdlerized folk songs. The first of Limon's two key concepts is adulthood: the prolonged anti-ritual for experiencing the full distance on the look of death. His second is dirtiness, as theorized in a Jewish joke, a logical exemplum, and T. S. Eliot's "Ash Wednesday": In each case, unseen dirt on foreheads suggests the invisibility of inferred death. Not recognizing death immediately or admitting its immanence and imminence is for Heidegger the defining characteristic of the "they," humanity in its inauthentic social escapism. But Limon vouches throughout for the mediocrity of the "they" in its dirty and ludicrous adulthood. 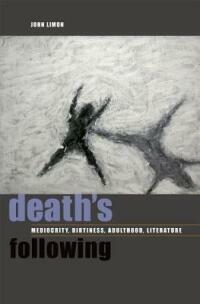 Mediocrity is the privileged position for previewing death, in Limon's opinion: practice for being forgotten. In refusing the call of twentieth-century philosophy to face death courageously, Limon urges the ethical and aesthetic value of mediocre anti-heroism.